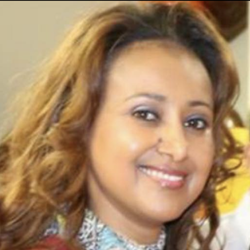 Seble is originally from Ethiopia where she worked for Ethiopian airlines-- one of the biggest airlines in Africa. Her career gave her the opportunity to travel to more than 60 countries, granting her exposure and interaction with unique cultures and multiethnic societies. After Seble moved to the USA, she went to college to continue on her education and graduated with a Masters of Science in computer information system. Since then , Seble has worked as a data analyst and an academic coordinator. Currently, Seble is pursuing a second degree, a Masters of Business Administration, to further enhance her professional career.